In your search for answers to a patient’s health concerns, information is everything. And Lunar iDXA provides the data and images you need. Whether you’re assessing bone density, fracture risk, body composition, or pediatric development, Lunar iDXA gives you a clear glimpse inside the body. Lunar iDXA offers research-grade image resolution and exacting precision, designed to provide you a high degree of clinical confidence across body types. Consider Lunar iDXA not only for today’s needs but also as an enduring platform for the future. 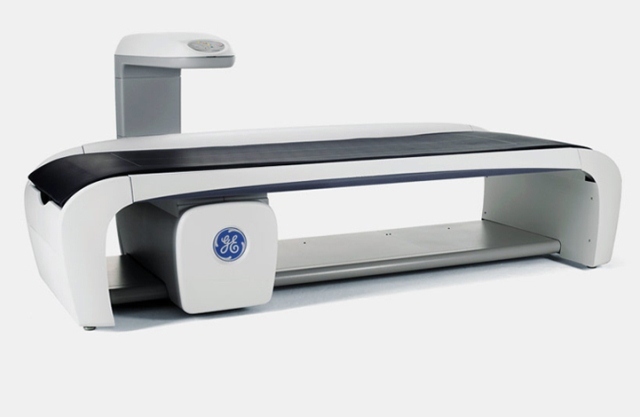 Click the button below to add the GE Lunar iDXA Fan Beam Bone Densitometer to your wish list.